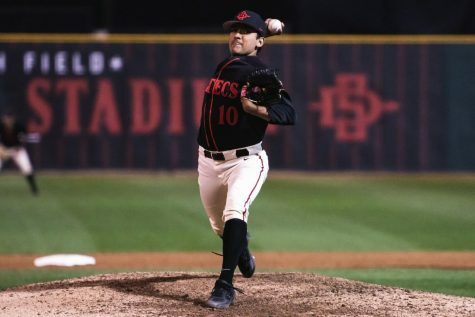 Before the San Diego State Aztecs opened their season against California State University, Northridge, back in mid November, they had a target on their back in the form of a No. 16 ranking by the Associated Press. They were the apple in the eyes of conference media as well, receiving 34 of 35 possible first-place votes in the preseason media poll. Considering the Aztecs’ talent, and the fact that they returned seven scholarship players and senior guard Aqeel Quinn from last year’s Sweet 16 squad, the hype was justifiable. 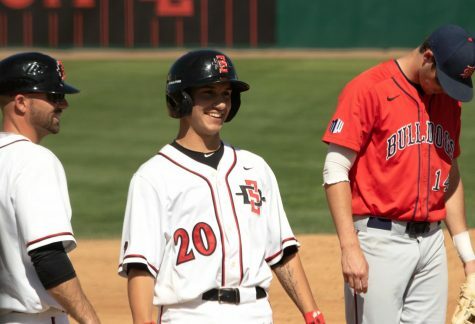 The world got its first look at SDSU when ESPN came to town for the Aztecs’ match up with 25th-ranked University of Utah. The Aztecs’ shot 32.7 percent from the field but still escaped with a 53-49 win at Viejas Arena. The offensive struggle was soon forgotten when SDSU averaged 70.5 points in regulation in its first two games of the EA Sports Maui Invitational. After the Aztecs took a humbling 61-59 loss to third-ranked University of Arizona in the championship game, people were convinced that with time the boys in scarlet and black could turn themselves into a Final Four team. The loss to the Wildcats marked the end of the Honeymoon phase that was November, and the Aztecs entered one of their toughest stretches of the year. The next three weeks of the schedule painted a picture for the remainder of the season that wasn’t pretty. SDSU traveled to Spokane to face off with the University of Washington in its first big non-conference road contest of the year. The Aztecs shot 20.4 percent from the field and fell to the Huskies 49-36. Days later, Long Beach State University came to Viejas Arena and nearly stole a game from the Aztecs right from under their noses. 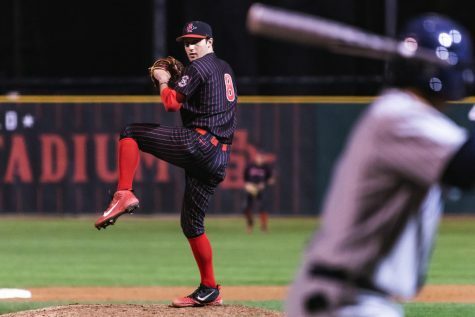 The Aztecs had a chance to regain their footing by beating the University of Cincinnati on the road before entering a four-game homestand that broke open the conference season. Instead, they lost 71-62 in overtime after being outscored 14-5 in extra time. 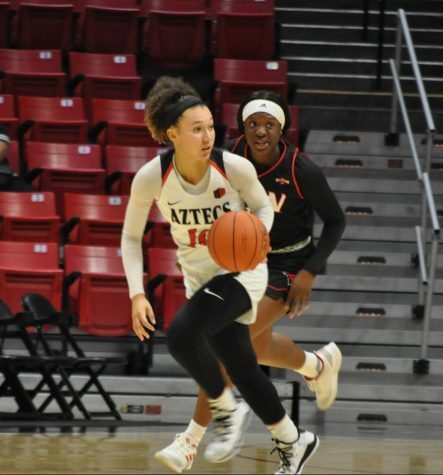 As the first half of the season came to a close, it was clear that head coach Steve Fisher and the Aztecs needed to shake things up. The college basketball world stopped when senior guard Dwayne Polee II collapsed on defense with 11 minutes left to play in the first half against the University of California, Riverside. The more than 12,000 fans in attendance went silent as paramedics, Fisher and Polee’s parents tended to the responsive senior. As he was taken off the court on his way to the hospital, he gave the crowd a thumbs-up and told his teammates to go win the game. Polee’s absence, due to what was diagnosed as cardiac arrhythmia, left a chunk of minutes on the table, as well as an open spot in the starting line up. Redshirt-sophomore Matt Shrigley inherited the starting role and his bench minutes were gobbled up by sophomore guard Dakarai Allen and freshman forward Malik Pope. Around the same time, Fisher ended his experiment with running freshman guard Trey Kell, a natural off-guard, at the point guard position. There wasn’t much of a drop-off between Polee and Allen on the defensive side of things, but Allen’s meek offensive production left a lot more to be desired. Insert 6-foot 10-inch freshman from Sacramento: Pope. 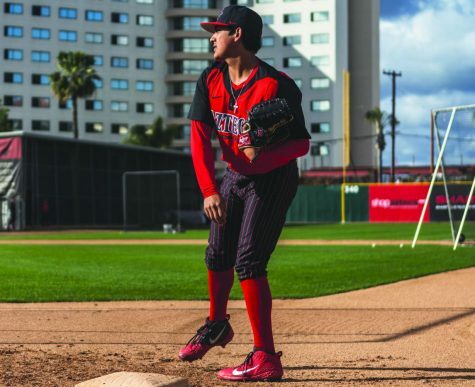 After missing the beginning of the season recovering from a leg injury that kept him on the sideline for his junior and senior seasons of high school, Pope took the Aztec nation by storm with his absurd length and knack for finding the highlight reel. Pope made 22 points on 9-11 shooting off the bench in the Aztecs 79-73 loss to Colorado State University in Fort Collins and thus spawned his weekly appearance on Chad Ford’s Big Board on ESPN.com. 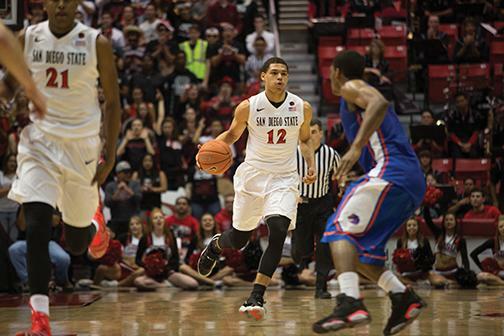 The Aztecs bounced in and out of the AP Top 25 in the final weeks of the season. 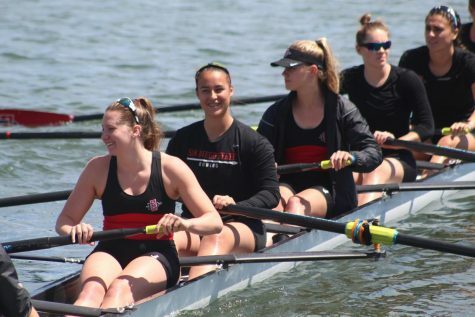 Even after road losses to California State University, Fresno, Colorado State and Boise State University, SDSU was largely considered the favorite to win the conference. Polee returned in late February and his presence both offensively and defensively was felt immediately. SDSU stood in at No. 24 when Boise State landed in San Diego with its eyes set on the MW regular-season title. BSU head coach Leon Rice and conference Player of the Year, senior Derrick Marks, ponied up and led the Broncos to a 56-46 victory in Viejas Arena. 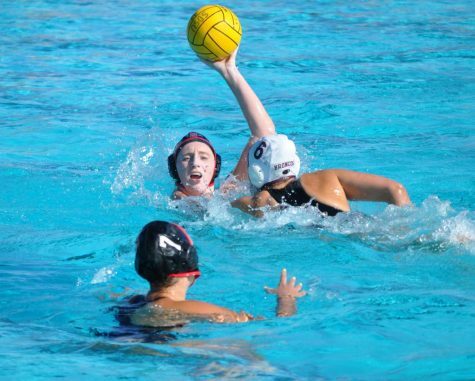 It was the Aztecs’ first home loss in 29 games. 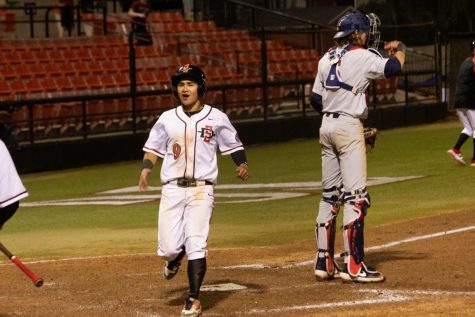 The regular season ended with BSU and SDSU as co-champions of the conference, despite Boise sweeping the season series 2-0. After a 45-43 loss to the University of Wyoming in the championship game of the MW Tournament, eight-seeded SDSU awaits a first-round matchup with nine-seeded St. John’s College in the NCAA Tournament. The target the Aztecs carried to start the season is long gone, but their shot at challenging some of college basketball’s elite teams is in plain view. Once on the verge of cracking that elite barrier, the men on the Mesa will go into the Big Dance as mid-seeded underdogs with bracket-busting capabilities. Strap in for the ride as first team All-Mountain West honoree J.J. O’Brien, second-team listee junior forward Winston Shepard and conference co-defensive player of the year Skylar Spencer lay it all out to survive and advance.